Our children's minds are like sponges, the less you push the more they'll learn. What do I mean? When you sit down and force your child to study and learn, they will most likely be hesitant, but if you play or make the activity fun they will learn without it being a daunting task. The Boogie Board's latest addition Magic Sketch make my points valid and provide a way for children, even toddlers to learn through fun. The Scribble n' Play featuring Colorburst is the first ever color eWriter, and excites even the youngest of children into creating on the board. 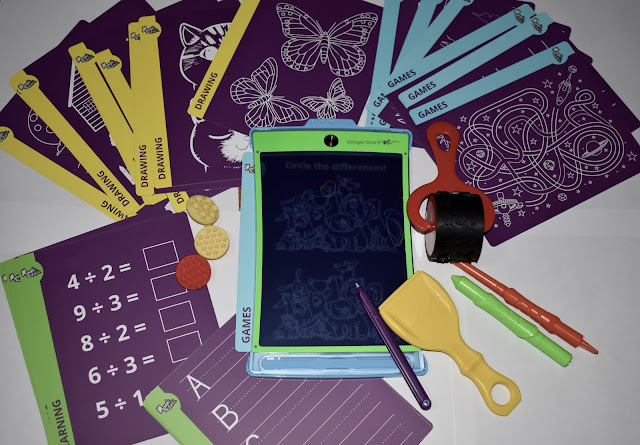 It featuring accesories including the clearview extension which allows children to trace, and play - encouraging creativity and a whole new way of learning on the Boogie Board. I have been able to take full advantage of these new features that allow my preschooler to practice her letters and numbers. She loves to draw so this is a fun thing for her to take on-the-go. I have a 2 year old who looks up to her, and copies everything! The Boogie Board allows for him to practice his tracing and scribbles mess-free. The super fun color shows in a rainbow color as you use the regular stylus plus some new drawing tools for hours of simple fun. There are 3 stylus tools for creativity! Children are used to bright, colorful fast moving technology these days, but it isn't all good for them to be exposed to it all the time. 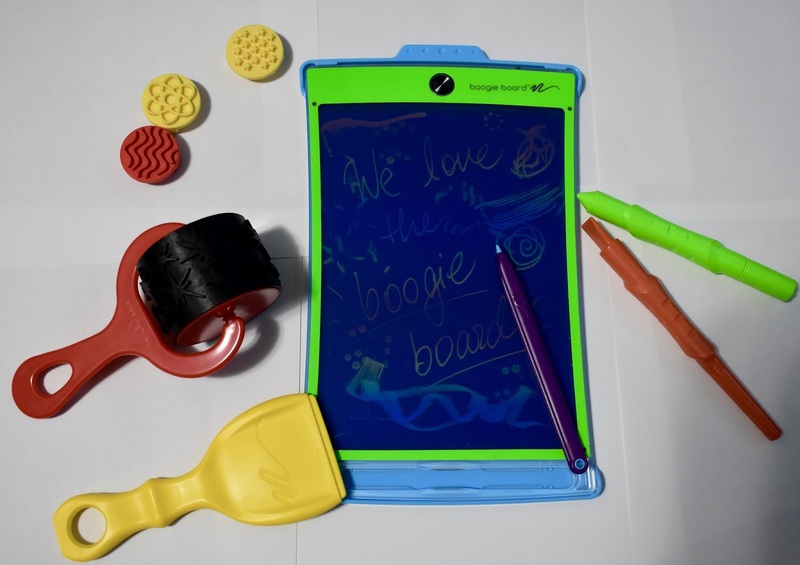 The Boogie Board is a perfect way to hand them their version of a "tablet" where they can easily understand how to use it. My son scribbles, traces and is able to reset/erase the board with one click of the button on top of the board. I love the portability of the Boogie Board. The translucent screen is a kid-friendly learning tool that promotes learning through fun tracing and play. 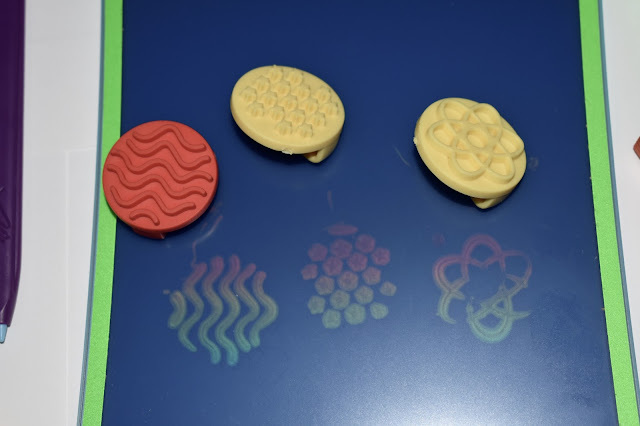 The patented translucent screen allows kids to practice writing, drawing, and even solving math equations. it includes a set of alphabet and math flash cards, with slip-in attachment and attachable stylus tool to make tracing easy and fun! Great on-the-go activity board that gives children a chance to practice their academics, as well as play games together. My oldest said it's great to use in place of "scrap paper" to decrease waste when he's solving math problems. 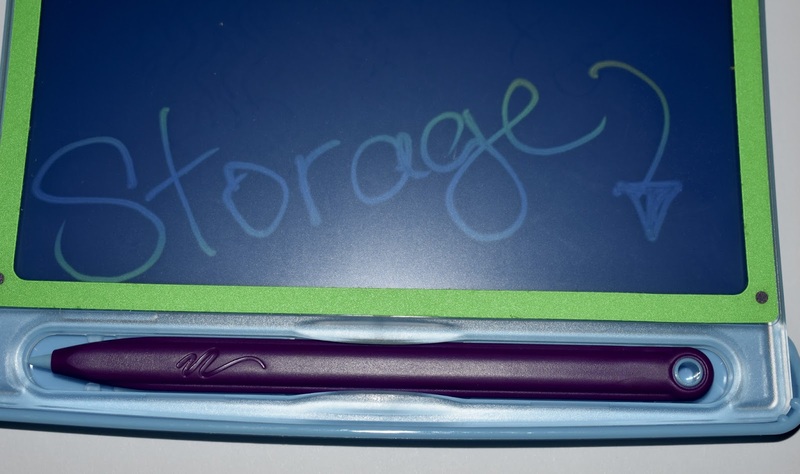 The Boogie Boards are eco-friendly, and the battery life lasts up to 7 years without needing a new battery! *All opinions are a 100% my own. Item/s were received for the purpose of review.